Outside Frame Dimensions:25 5/8" x 37 5/8" x 3/4"
Inside Frame Dimensions (Artwork Max. ):24 3/8" x 36 3/8"
Visible Poster Dimensions:24" x 36"
Our Back-lit Poster Frames are built from quality materials and are designed to perform great as a low profile movie poster light box for your home theater entrance or hallway. With two large banks of bright LED light illuminating your movie poster from behind. This product makes posters pop with light. This movie poster frame design offers low energy consumption, bright backlit LED light, and an ultra-low profile. Designed to replace the more common bulky movie poster light boxes designed to mimic the ones at the movie theaters… ours are light weight, easy to re-use, and are very affordable. 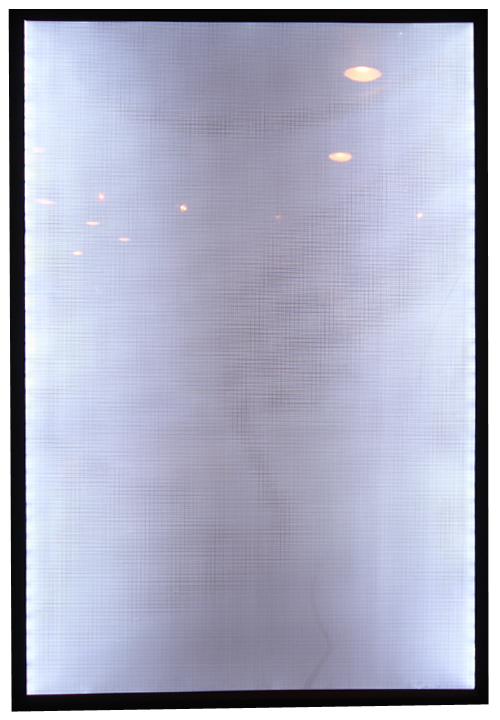 Unlike the usual high voltage light boxes that can measure up to a foot deep, our low voltage (12 volt transformer) Back-lit Poster Frames are a shallow ¾” deep. These energy efficient LED frames stay cool and look more like a picture frame than a light box. Being low profile allows you to put them anywhere you have power without taking up unwanted space in your hall, entry way, or theater room. Outside Frame Dimensions: 25 5/8" x 37 5/8" x 3/4"
Inside Frame Dimensions (Artwork Max. ): 24 3/8" x 36 3/8"
Visible Poster Dimensions: 24" x 36"
How do I install or replace a poster in the frame? There are four sides to the frame. The frame’s sides are actually hinges that open from the inside outward like a door. 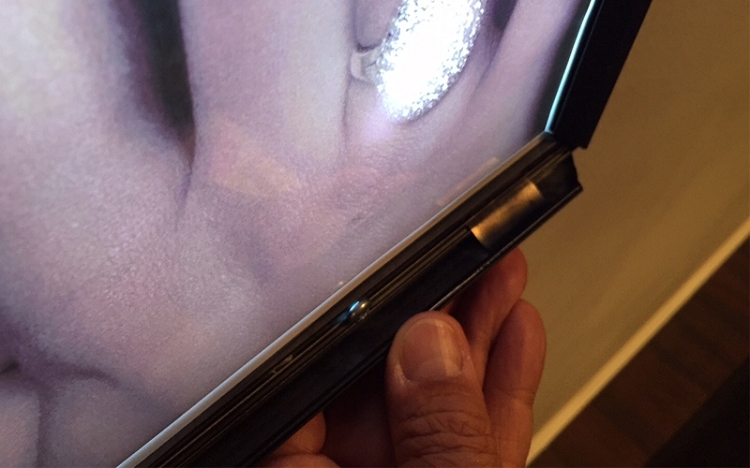 The hinges open up and outward by getting your finger under the inside edge of the frame side and pulling upward to open the frame. Do this operation for all 4 sides of the frame to expose the poster edges and clear cover. Remove the cover and poster and replace the poster with your new poster. Cover your poster with the frame’s protective clear cover and close the hinges one by one. You may need to perform this several times to get the poster seated correctly in the frame. 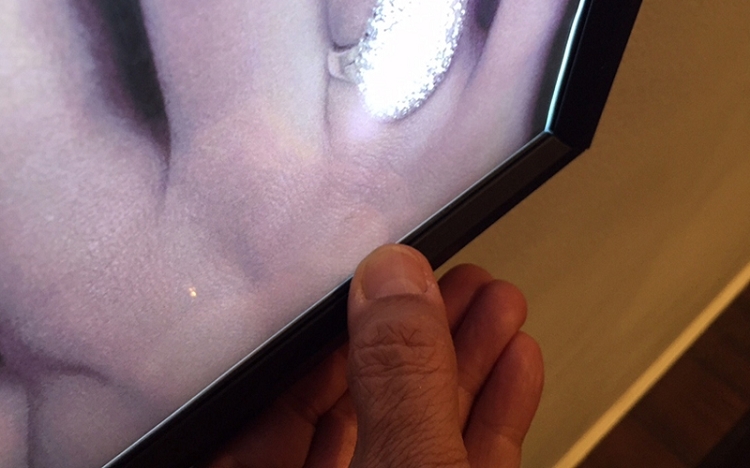 The poster and/or clear protective cover may need trimming with scissors initially to match the frame’s inner dimensions as needed. For posters that are not large enough to fit in the frame correctly, consider using reusable wall poster adhesive gum to hold the poster in place within the frame. How do I mount the frame on the wall? With the frame’s hinges open you will find 4 screw holes drilled in the aluminum frames. Use these holes to securely mount your frame to the wall. 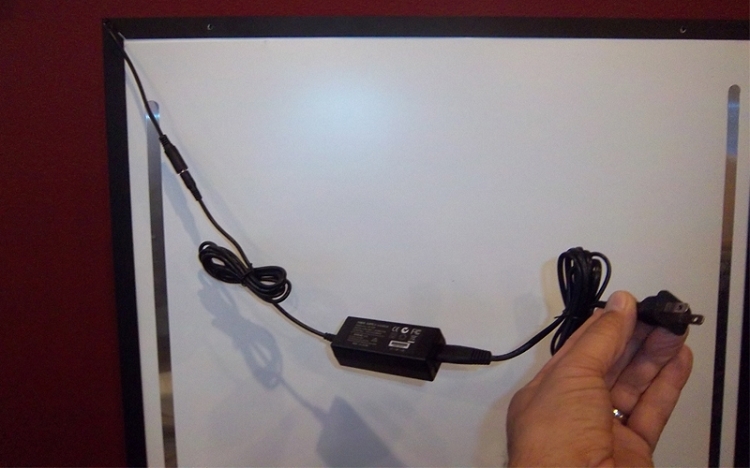 DON’T FORGET: Our frames require an AC powered outlet in order for the LED lights to work. If you want to hide the power cords for your frame we suggest getting an electrician to install a power outlet behind the frame location on the wall. Make sure to locate the power backbox where all the frame’s bulky cable ends will reach the box location (upper right corner). Adding a light switch to the circuit works best since you can turn the frame on and off with a light switch. We offer high voltage back boxes for locating the frame’s power outlet, 12v transformer and cords. Where do I get more posters that fit these frames? Currently we only offer a small number of posters that fit our frames. In the near future, we will be working towards offering a more complete catalog of movie posters that fit our frames. Please contact us through our contact form for specific poster requests. Why don’t my own 27” x 40” movie posters fit your Back-lit Frames? 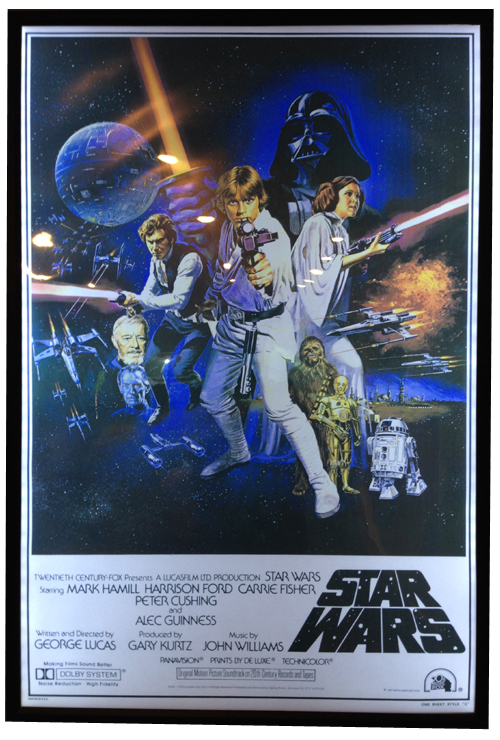 There are many different sizes of movie posters on the market today. Although our frames do not fit the more standard 27" x 40" posters, our frame size is more likely to fit in the wall space you have. When we considered the larger frame size we realized that 24” x 36” fit more wall applications such as walls with wainscoting and other features. We settled on a 24” x 36” poster opening with a ¼” overlap to hold the print in place. Currently we offer a small selection of posters that fit our frames (24 ¼” x 36 ¼”), but there are various poster shops online that are more than willing to reproduce posters to match our frame dimensions for you. 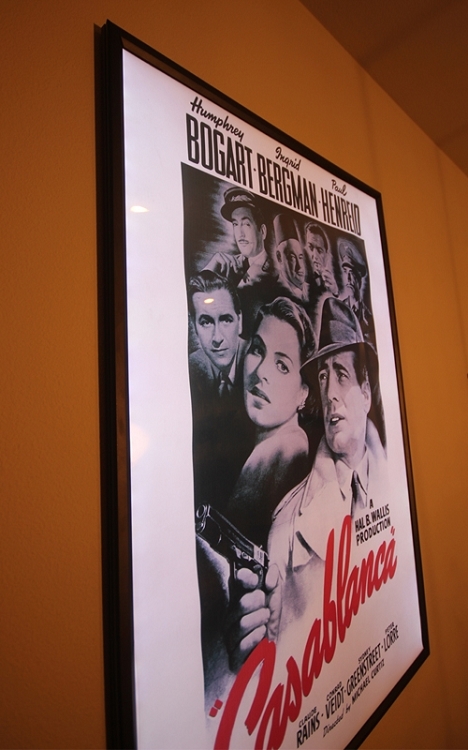 In the near future, we will be working towards offering a more complete catalog of movie posters that fit our frames. Please contact us through our contact form for specific poster requests we may be able to fulfill.